Stryker Camera Control Unit (#1188-010-000) and Stryker 1188 Camera Head With Coupler (#1188-210-105). Good condition; 90 day warranty. Ready to ship. 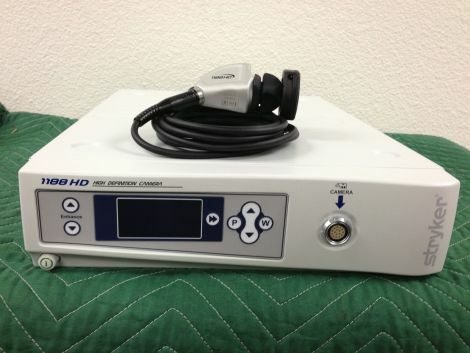 Stryker light sources, insufflators, and monitors available.